The study abroad opportunities offered at Boston University attract many students to study here, and those within the College of Communication are no different. While COM students can go on most programs available through the university, there are four COM-specific programs in London, Dublin, Sydney, Washington D.C., and Lost Angeles. These are internship programs in which students complete three courses and an internship in their field for academic credit. I am a dual-degree student studying advertising and international relations, and I chose to study in the London internship program. I’m currently interning in digital marketing at Brevia Consulting, a public affairs agency. When you apply, make sure to research and find out what program is best for your interests and career goals. Network at your internship placement – don’t be afraid to ask questions, and make sure you work hard. You never know what a connection could lead to later on. 2. Travel on the weekends – if you do leave the US, take advantage of this time to visit neighbouring countries you may never be able to return to. 3. Spend ample time exploring your home city – this is a unique opportunity to become a local in a foreign place. 4. Try the local cuisine – there’s no better way to experience a new culture than to sample its food. Fish and chips, mate! 5. Experience nightlife (if of age) – try an electronic club in Berlin or an underground arts festival in London for a truly unforgettable experience. 6. Befriend locals – they will show you the ins and outs of the city and help you avoid the super touristy stuff. 7. Call back home occasionally – don’t forget that your Mom misses you! Trust me – you will fall in love with your abroad experience and never want to return. Live your best life while you can, make some memories, and earn credits at the same time. Get ready for the adventure of a lifetime! I really hate March. And, I don’t think I’m alone in this. Objectively, it’s probably the worst month. Every year when March rolls around I sigh heavily and wish that I could hibernate until the month is over, cue “Wake Me Up When September Ends,” but with March. I mean really… It’s a month chalk full of dramatic weather fluctuations, midterms, and never enough sleeping. But, as we near to the end of the month, I think I’ve found a handful of things about March that actually do bring me some joy. Obviously, this is the best part of every March! It’s a week to escape to a warmer climate or spend some time exploring Boston sans homework and classes. Spring Break gives us all hope that summer is indeed on the horizon. This spring break I road tripped with my best friend, CA Megan, from my home in Utah to Las Vegas and Los Angeles. It felt oh so good to have sand between my toes on a sunny LA afternoon. This alone is reason enough to look forward to March. Boston is the place to be during St. Patrick’s Day! There is so much Irish spirit all around. This year, I explored the South End before heading to Southie for the annual St. Patrick’s Day Parade. Next year, grab some friends, deck yourselves out in green, and enjoy the parade. This is also a great time just to walk around the city because everyone is in a festive mood! A cup of hot chocolate, blankets, and Netflix as the snow falls outside is my idea of heaven. It means catching up on much-needed sleep, practicing some self-care and finding some new Netflix shows. Lying in bed all day? Don’t mind if I do. This is such an underrated day. I love making pie, eating pie, and occasionally I even like doing math. This year, I made a lemon pie with a gingersnap crust that made me tear up it was so delicious. Pi Day just makes people happy. People always want to connect in March, making it a great time for friendship. A few days ago, my friend CA Claudia hosted a Persian New Year for a bunch of her friends that was so fun. I learned about another culture, ate yummy food, and caught up with some of my favorite people. March is a lot more bearable when you surround yourself with people you love. So, next time March rolls around don’t fret! This drab month doesn’t have to be so gloomy. That being said, next March if all goes to plan I will be studying in sunny Los Angeles, so this might be my last frigid March for quite a while *single tear*. The idea of living in an unfamiliar country that is so far away from friends and family can be pretty nerve-wrecking. These nerves are extremely normal and valid; you are about to embark on a huge adventure and there’s no way you can know what to expect. Along with nerves comes tons of excitement. Studying abroad is a once-in-a-lifetime experience and there are so many things to be excited about: traveling to new places, trying new food, meeting new people, and so much more! Once you arrive to the city, you will be excited to explore and take everything in. After the excitement of the first few weeks settles in as you begin classes and your internship, it is very common to feel overwhelmed. Although it would be great if studying abroad was one big vacation, you are there to study, go to class, and work. General school stress that you feel in Boston will also affect you abroad. Additionally, you may be overwhelmed about being so far from friends and family. However, it is very easy to overcome these feelings by relying on your peers in the program who are experiencing the same emotions, as well as distractions such as constantly traveling and exploring new places. After about a month or so of living somewhere, you find comfort in the new city with your new routine and friends. By the time I left Dublin, everything was so familiar and I felt as if the city was my home. After already living in Madrid for two months, I am extremely comfortable with my host family, friends, and the city in general. I am so excited that I still have so much time left! As your time studying abroad comes to an end, you experience many mixed emotions. For one, you will be upset that such an amazing experience is almost over. However, you are content with all the time you had getting to know and explore the city. Even though you wish it was longer, you have a bunch of new, extraordinary memories. Studying abroad is a once-in-a-lifetime experience that teaches you so much about different cultures and ways of life. If you have the time in your schedule and opportunity to do so, go abroad! You will not regret it. New York fashion week has come and gone, but its trends will last forever…or at least for the spring season. Whether you care about staying on top of the trends or not, we are all sucked into the rabbit hole of the aftermath of fashion weeks around the world. You may think you are being original when you buy 90’s wear at the store, but the only reason it is being sold to begin with is because of the influence of these major designers. It’s a never failing and everlasting marketing mastermind that has been constructed and tailored by the fashion industry. So, since it’s not going anywhere and we are never going to stop buying clothes why not embrace it? Here are the top trends from fashion week and a guide of how to take the runway and make it wearable. We all know, thanks to celebrities like Lady Gaga and Rhianna, sometimes runway outfits can be a little….out there so I’ve given you some ideas on how to transform them into your wardrobe. First things first, gone are the times of your jeans being the dreaded and uncomfortable wardrobe essential and welcome to the bold statement pant. Otherwise known as “fancy pants” quite literally, these are anything from jeans to embroidery, fringe, flare or even ruffles. On the runway, you may find sheer or even two different colored legs and if that is a little too far out of your comfort zone, stores like Anthropologie and Madewell have you covered with some spiced up basics. Moving on we have a personal favorite of mine…pastels. Who doesn’t love a good color scheme and a color coordinated wardrobe? You may laugh now but when you tailor your wardrobe colors to complement each other your outfit possibilities multiply. On the runway, you may find head to toe one solid and baggy pastel ensemble but stores likeAritzia offer a more refined and sleek look for everyday wear. Next up we have bright bold and the way to tell when someone over edited their Instagram picture…saturated! This is a fun twist to include in your spring wardrobe and especially as we start itching toward those summer months and beach vacations. What better way to daydream about a tropical oasis then dressing like you’re already on vacation? If all saturated isn’t your thing try bold tops with a basic pant or vice versa. If bright is your enemy but you want to stay #hip then opt for a colorful statement jewelrypiece instead. Finally, one of my personal favorites—fringe! Fringe is the new black if you ask me. Now this one can be done in many ways. Wear it head to toe like the runway models or get a ~fringe-y~ bag or accessories. Either way you’re going to look like the coolest kid on the block! True fans will remember that one year ago, I posted my list of favorite brunch spots in Boston. While I don’t have time to eat as much brunch these days, I still make time for coffee. As a self-proclaimed coffee connoisseur, I’ve been to my fair share of Boston coffee shops. The best thing about going out for coffee is that it can be as productive (or not) as you want it to be. In typically Hali fashion, here is a list of the best coffeeshops to spend an entire Sunday afternoon writing that WR150 paper that’s due next week! Don’t fool yourself and assume that my list is in no particular order. Well, after this one, it is in no particular order. But Tatte belongs at the top. Why, you ask? It’s because, in short, Tatte Cafe and Bakery is my happy place. Where else can you get the most caffeinated cold brew you’ve ever had and pair it with a pastry, a sandwich, or – if you’re feeling crazy – CHEESECAKE? I would like to point out a few things that make Tatte the best coffee shop around. First, you have a million options. Tatte just opened brand new locations in Back Bay and Fenway, and they’re located in just about every other neighborhood of Boston and Cambridge as well. Second, there is nothing in the world that’s better than Tatte’s almond croissant. Trust. A photo of the Holy Land (1352 Boylston Street). Talk about a cool, calm, collected aesthetic, am I right? This one’s a little out of the way, but hey! If it’s the weekend, you were probably going to Newbury Street anyway, right? Make a quick stop here between all the shopping to get a little work done. Barrington makes my list because while all of these coffee shops have great vibes, Barrington probably has the best actual coffee. Drink up, and study up. I’ll be completely honest, I am listing Pavement out of sheer obligation! Just kidding, kind of. I am actually listing Pavement because if I go one week without a Sunrise on a multigrain everything bagel, I suffer from serious withdrawal symptoms! All jokes aside, Pavement is one of the best coffee shops in Boston, and their location is so convenient for BU students. PRO-TIP: the Fenway location (located on Boylston) is 100% the superior Pavement! It’s only a five minute walk from the one on campus, and it’s worth the extra steps to have a better chance of finding a table. Blue State will always have a place in my heart. I will always associate remember it as the closest place to my freshman year dorm in Claflin Hall where I could actually get good coffee. Blue State makes my list because of their expansive menu. From cold brew to tea to smoothies, they’ve got it all. They’re also open until 10 PM, so stay as late as you’d like. I’ll keep my list short to make your coffee-shop decision easier. If you’d like a more extensive selection, feel free to give me a call. Next time you’re craving something a little more chic than your caramel iced coffee from Dunkin, give one of these spots a try! 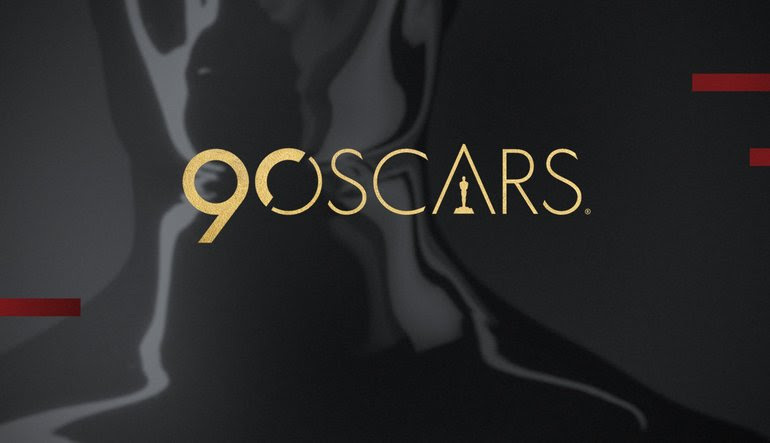 For me, The Oscar’s season is my “most wonderful time of the year.” I love going to the box office to see all of the year’s most critically acclaimed movies. But there’s also a pleasure of going to the movies to see something you know you’re not going to like. I swear I’m not sponsored, but Movie Pass was the best investment I’ve made in a while. For only $9.99 a month, you get to see one movie a day for a month. Most large chain theaters participate (Regal, AMC, and the Brattle Theater in Cambridge do too). For me – a snobby, snobby film boy – I would have never paid money to see Jumanji: Welcome to the Jungle in theaters. But since I felt like I wasn’t paying for it, it was one of my favorite movie going experiences of the season! It’s cool when spending too much isn’t a factor in what you want to see. The concept seems cool, right? A biographical piece about Vincent Van Goh in which every different frame is an impressionist painting. But the gimmick wears down quickly when the canvass thin, Nancy Drew Mystery Computer game plot goes in circles. Also, the motion of the paintings looks really weird! Some really cringe-ey dance sequences (one in particular set in a bar) and non-musical theater music with ultra-generic lyrics. If you had a hunch that Hollywood romanticized Hugh Jackman’s character, check out this Entertainment Weekly Article. (tl;dr: P.T. Barnum was not a good dude). Okay, while technically bad, The Room is really exceptional work of film. Most live screenings have a similar atmosphere to a Rocky Horror Picture Show screening, where audience members yell at the screen, dress up, and dance around. I used my Movie Pass to go see it and it was a blast. People were throwing spoons! As I start off my third, and final, spring semester in Boston, I have done a lot of thinking about what a fantastic experience I’ve had here, and all of the opportunities I have found, and friendships I have made. I’ll hopefully be spending the spring here at BU, the summer in London, and the fall in Los Angeles, so there is still quite a bit left of college, but not a lot of time in the home I’ve found here. But I’m not sad, because there are so many good things to come this semester, and so many fun things I want to do before I leave. And so, here’s a list of things I’m looking forward to, and things I have to do before May comes around. This semester I’m taking three Film & TV classes that are both going to be so interesting, and perfect prep for my future. For example: my 2D Animation class, which is unlike anything I have ever done before, but will provide me with invaluable information as I look for jobs in my post-grad life. Now something I want to do: celebrate a truly Bostonian St. Patrick’s Day. I want the little bit of Irish in me to explode as I deck myself in green and dance around like a true leprechaun. This spring, I’m interning for Children’s Programming at WGBH, the PBS affiliate in Boston. This past weekend, I spent 9 hours on set each day while we filmed High School Quiz Show, where I learned all about filming a game show in a professional setting. I feel like as I’ve gotten busier with extra-curriculars and classes, I’ve stopped taking advantage of the truly extraordinary experience we get as college students: the opportunity to go to so many museums in the city for free. I need to make at least one last stop to the Isabella Stuart Gardner Museum and the Museum of Fine Arts. I am going to be a Producer on the nation’s longest-running college soap opera, which seems absolutely insane, but which is something I have been working for since I came to BU, which makes it so especially rewarding. And, we’re re-vamping the show to make it better than it’s ever been before. Whether I’m going to build a snowman or have a terrific snowball fight, what I really want to do is leave BU during a snow day and go crazy in the snow (since I’m not going to have any seasons in L.A.)! I feel so grateful for the friendships I have made during my time here, and friendship has always been one of the most important parts of my life. So, I have to spend my last bit of time here celebrating those friendships, and being with the people that have made me so happy over these last few years. If there is one thing I really know about myself, it’s how much I love to walk around Boston. Whenever I have a few free hours, and the weather isn’t toodreadful, I’m guaranteed to be walking from BU to my favorite destination, the Harbor (see my last post for more on that). I have to spend my last bit of time in my favorite place in the city. Throughout my time in college, I’ve found that it can be difficult to figure out your exact career path, especially as a COM student, because there are so many different directions you could go in. Thankfully, coming into second semester of my junior year, I finally have it (almost) figured out. Meanwhile, through BU’s Community Service Center and my work study job at the BU Children’s Center, I’ve fallen in love with social justice and working with children. By participating in FYSOP (First Year Student Outreach Project) as a first year and as a staff leader, I’ve learned a lot about social justice, and try to incorporate what I’ve learned into my writing. Additionally, through working at the Children’s Center, I have learned more about childhood development and my love for working with children has grown so much! I was lucky enough to spend a summer working at a day camp for children and creating a video for the company to showcase the program, which made me realize there is always room to connect working with children to working in the film industry. It clicked that one of the best ways to cross-over all of these interests was to write for children’s television. Writing programming that is educational, inclusive of diverse backgrounds, and mindful of childhood development is something I have the knowledge, skills, and passion for, and with this career goal in mind, I can finish my last 3 semesters of college confident that I am pursuing something I will love. As you continue your journey as a COM student (or in whatever major you choose), keep your passions in mind, and keep searching for ways to connect them to what you’re studying! Once you figure out a way to combine what you’re passionate about with your career goals, you’ll feel so much more confident and driven to achieve those goals, and have more fun doing it.